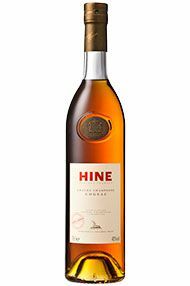 Thomas Hine was originally from Dorset and came out to Cognac, aged only 19, in 1791. 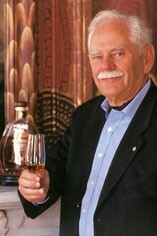 He joined a local Cognac firm, married the owner`s daughter and became a partner in the firm. Later on, the firm took his name to become Thomas Hine & Co.
Today, the sixth generation of the Hine family, cousins Jacques and Bernard Hine, continue the tradition of ageing and blending the finest natural eaux de vie. The firm is now owned by Angostura but its headquarters remains in the beautiful old riverside premises in Jarnac where Thomas Hine ran the firm 200 years ago. Hine's acknowledged expertise lies in the field of Grande Champagne Vintage cognacs. Hine has an impressive collection of vintages, from the beginning of the last century, kept in locked cellars at the Quai de L’Orangerie. Hine also initiated the concept of making such rarities commercially available (in limited quantities) throughout the world. Another Hine speciality is their concentration on the maturing of so-called ‘early-landed’ cognacs. This custom dates back to the 19th century, when they first shipped selected vintage Grande Champagne Cognacs in cask to Bristol, in England. 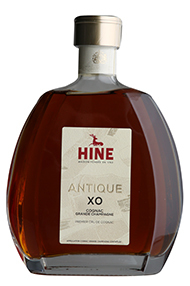 Nowadays, Hine still ships some of its single vintage cognacs to the UK (and is one of a very rare few estates who continue this tradition) after they have spent several months ageing in new oak barrels in Jarnac. Cool, dark cellars house barely a hundred barrels of Early Landed (a barrel is the equivalent volume to around 350 bottles). Here the ageing conditions are quite different from those in Jarnac as the temperature is low and remains constant (between 8 and 12°C) and the high humidity level rarely drops below 95%. 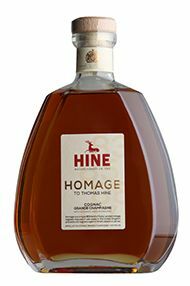 These factors ensure that Hine's Early Landed cognacs are particularly light and fruity with very delicate oaky notes, and delightful aromas of fresh flowers and the characteristic orange peel - very close to the cognac’s initial notes. In Jarnac, the River Charente is close to the Chai des Millésimes — and this is the only point in common with the cellar conditions in Bristol: the humidity level is completely different as it is high, varying between 70 and 90%. The cellar is just two metres below the level of the Charente and subject to temperature fluctuations which can vary between 6.5°C in winter and 20.5°C during the summer. The ageing conditions in the Chai des Millésimes in Jarnac lend the cognacs greater complexity and structure; with a richer bouquet, more pronounced oaky notes and the much prized “rancio”, so characteristic of old cognacs. Rigorous grape selection, low yields, high quality control during wine-making, traditional distillation, extended ageing in seasoned oak barrels and an evaporation rate of 2 to 3% each year, result in small quantities of the finest cognac. 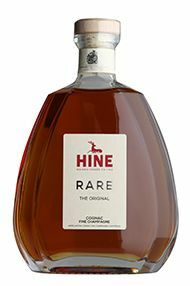 In the 1990s, Hine released only a few thousand bottles of 1914, 1938, 1948, 1952, 1953, 1957, 1960, 1961, 1975 vintages (1957, 1960 and 1975 were particularly exceptional), whilst in the early 2000’s vintage cognacs from 1978, 1981, 1982, 1983, were released. Rare VSOP is a Fine Champagne cognac, which means a blend of Grande and Petite Champagne cognacs, with at least 50% coming from the Grande Champagne district. This, a blend of more than 25 cognacs, the youngest of which has aged over 4 years, is considered to be the classic Hine and the most delicate. On the nose it displays fruity and floral aromas (jasmine, acacia). On th epalate, it is surprisingly mellow and delightfully smooth. Silver Medal - International Wine & Spirits Competition 2006. The second release to be produced using Hine's own vineyards, this 2006 vintage Bonneuil is a single-estate Cognac made using Ugni Blanc grapes grown in the Grande Champagne cru of the region. A fruity and floral Cognac. Antique is a blend of more than 40 cognacs drawn from both the Grandes and Petite Chamagne districts. It is light and delicate on the nose, with spicy and intense vanilla aromas. It is complex, balanced, velvety, supple and voluptuous on the palate. A cognac to dwell on. 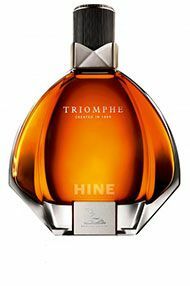 Triomphe is an exceptional blend of over 50 selected old cognacs coming exclusively from the finest parts of the Grande Champagne, the finest cru of the Cognac region. These cognacs have been aged individually in small oak casks in the cool dark atmosphere of HINE’s cellars in Jarnac, until, after many decades, they have reached the peak of maturity. The nose reveals the exceptional complexity, exquisite finesse and extraordinary depth with subtle nuances of crystallised fruit, flower and tobacco. The palate is characterised with an incomparable mellowness, roundness and finesse and a stunning long aftertaste.